Two globe-trotting adventurists, Sandra and Alexandre, settle down in a tiny village in the southern French Alps and begin making completely organic, vegetal candles using the flora and fauna that surround them. They happen to have a blacksmith friend who fires up a hand-forged black iron tin to house the aromatic candles. The result – candle perfection. The Mad et Len fragrance house is based in Saint Julien de Verdun in the South of France. 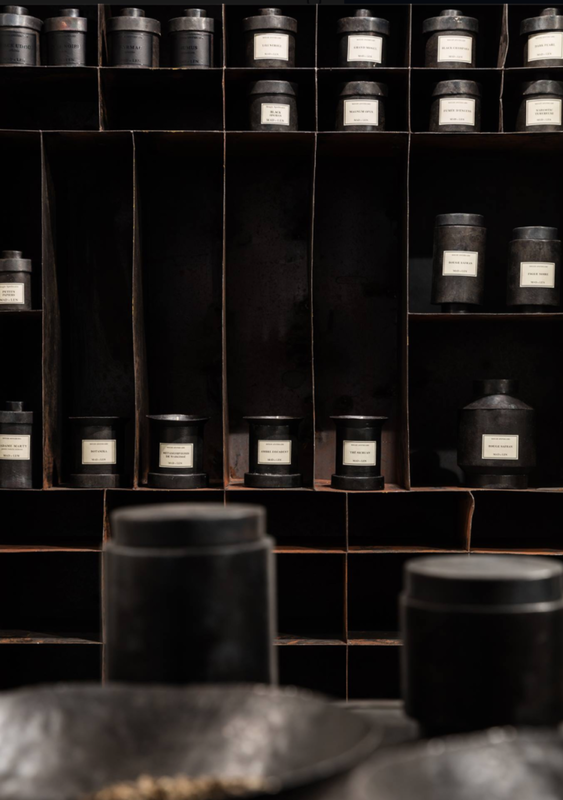 Nature informs much of what the founders create: laminated iron pots which house lava rock “pot pourri” or scented candles are at the core of the label that celebrates a sophisticated rawness. The Gallic duo design unique products with a sophisticated rawness and exquisite purity. Their intention is to mimic nature's authentic rhythms while awakening our primal olfactory and tactile senses from the sleep of daily life. They are intensely pure, rich and completely evocative, a nod to the natural aromas and smells found in nature, like cut grass, smokey wood, spicy flowers and shrubs. The packaging is exquisite. Black iron tins house the candles so when the candle is done, you still have a dramatic and functional container to be used again. The scents are hand-formulated in the village (which is near Grasse, the perfume capital of the world) and in small batches, using undiluted flowers, woods and spices, made of intense flavorful notes of moss, violet, soil, oak, eucalyptus, cypress and mint.